I’m of the opinion that no one should truly 100% grow-up. I really think people ought to occasionally partake in youthful frivolities, like having candy for breakfast and jumping in mud puddles—and playing with toys and games. That keeps magic weaving its way through our lives, adding a spring to our steps and a sparkle to our eyes. Luckily, Best Buy has a huge selection of toys and games for everyone, so whether you’re one or 100 you can relive a bit of that childhood magic. What’s more, we’re running our annual toy contest! 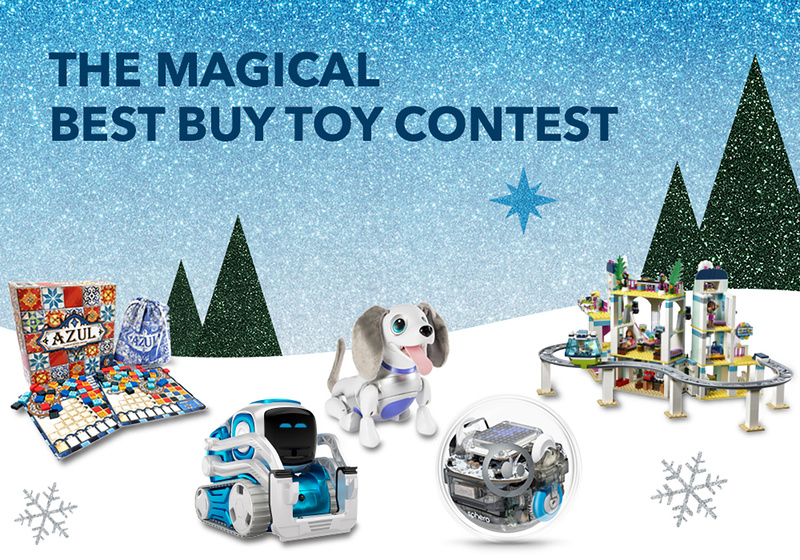 Read on and learn about the magical selection of toys at Best Buy, then enter the contest for a chance to win some for your family. 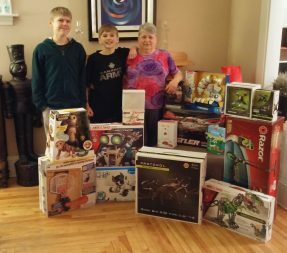 Imagine the magic that your whole family will experience with a fantastic bundle of toys delivered to your home! There is a huge range of STEM and robotics toys available these days, and the best part is, they’re so much fun to use that kids will enjoy learning. 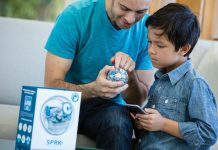 Sphero creates toys like the BOLT robotic ball to teach kids coding through a block-based visual language. 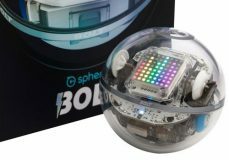 Using the Sphero Edu app, you can control the Bolt’s movement and speed, as well as the colour and brightness of the built-in LED lights. Light sensors, infrared sensors, and a magnetic compass provide it with data, so it can be programmed it to change direction if it meets an obstacle. The Anki Cozmo and Vector robots are home assistants with personality. These diminutive robots are curious, interactive, and capable of learning. Designed with both an IQ and EQ, these robots are smart and endearing. They will become a part of your family as they help you out with weather reports and answering search queries, or play games like Quick Tap and Keep Away. As a child, I used to dream of travelling to another universe. With virtual reality, that dream comes pretty darn close to true. 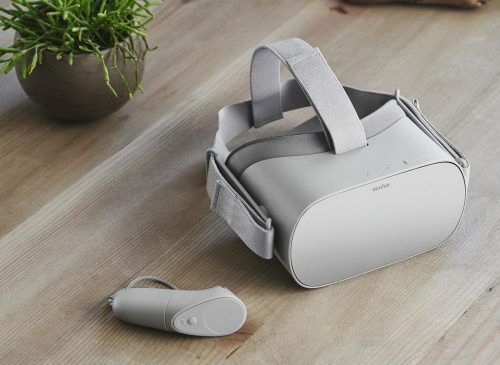 Using 3D graphics and amazing optics, the Oculus Go headset can transport you to other dimensions. Oculus Go gives you access to over 1,000 virtual reality games, social apps, and 360-degree experiences. Always wanted to visit the moon or walk among dinosaurs? How about stepping into the pages of a comic? Or have you’ve always dreamed of fighting super villains. All of this is possible with the magic of Oculus virtual reality. Maybe you were always a bit of thrill seeker, well, we have toys for that too. Best Buy has a huge selection of ride on cars that are sure to delight any little driver. 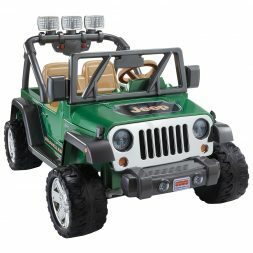 Choose from authentic scale replicas of vehicles like Jeeps, BMWs, and Maseratis from brands like Best, Kool Karz, and Powerwheels. This sweet rides are each decked out with details like a horn, lights, and music. Most ride on toys are equipped with parental controls too, so you can rest easy as your child zooms about. And perhaps the best thing about ride on toys is they get your kids outside, away for tablets and TVs, enjoying the fresh air. If you want to keep your racing indoors, Anki also makes the Overdrive, an intelligent battle racing system. Build your track and race solo, AI, or against friends as you control you car through the app. As you race you can unlock weapons and upgrades, and customize your car, plus the app is always being updated, so gameplay is always fresh. That’s the beauty of tech toys; the magic keeps evolving. For the younger race car enthusiasts, there are Carrera GO!!! racing systems. Kids can race zoom around tracks with themes like Nintendo Mario Kart and Ferrari, both of which are prizes in this contest. LEGO, who doesn’t love it? You can recreate iconic scenes from your favourite films or build something truly one-of-a-kind that only you would dream up. Race in the Indy 500 with the LEGO Technic Rally car, casts spells in Hogwarts Great Hall, or explore a galaxy far far away in the Millenium Falcon. There are so many LEGO sets available I’ll leave it to you to find which LEGO set is the most magical to you. Interactive toys, especially those that look like cuddly little creatures, bring the cartoon animal sidekick to life. (My personal favourites were Fizzgig from Jim Henson’s The Dark Crystal and Pegasus from Disney’s Hercules). On of the hottest toys this year are the Fingerlings Hugs by WowWee. These lovable, interactive critters can say and do over 40 things, and have extra long arms for hugging and hanging around. Hatchimals too, offer children a chance to have their own animal companion. Children can hatch a mystery animal and nurture it as it learns and grows. As you can see from the above, Best Buy’s toy selection is impressive. Also impressive is Best Buy’s toy contest. Every year at this time we give away thousands of dollars worth of toys. Take a look at what some of our past years’ winners received! 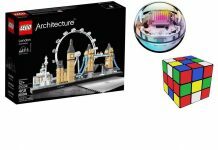 This year there are seven great toy bundle prizes, each containing magical fun for the whole family. Read carefully the details below, then enter the contest … and be sure to tell your friends! Entering is easy, but you can enter only once. Go to the toy section at Bestbuy.ca, and locate the toy you think would bring you or a child in your life the most magic. In a comment, tell us what that toy is and why you selected it. Would a Lego set bring you back to the days of building towers taller than you were? 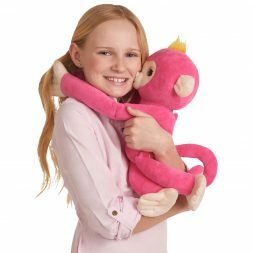 Would a Fingerling Hug simply delight your niece or nephew? Tell us below! 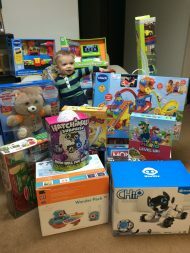 We will randomly draw seven winners to each win a toy prize pack that’s absolutely full of fantastic goodies. The complete prize list is shown in the Rules and Regulations. This contest runs from November 2nd until November 19th. Remember you can only enter this contest once by leaving a comment below telling us what toy would bring magic into your life. Spread the magic and encourage your friends and family to enter too! Kate holds an MA in English and has an undeniable fondness for fixing grammar and rearranging words. It's no surprise, then, that she began her career at Best Buy Canada as a product copywriter, and is now an editor for bestbuy.ca. 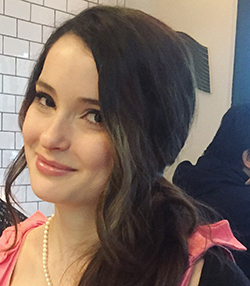 When you can get her nose out of a book, Kate might be found hiking, ballroom dancing, or exploring Vancouver's food scene. The Anki Cozmo as it roams around the house around the holida decorations. The tutti-frutti watermelon tent looks like a great place to read books and play in the nice warm days. the Oculus Go headset is something that would give me an out of this world experience ! My nerdy/geeky kids would totally flip with the LEGO Mindstorm ev-3 set! All 3 of them are into building robots and electronics! I have to go with Legos as my teen son and I both love them! We love the big kits and Brick Headz! my son would love the Quadcopter Drone – his is obsessed with remote controls and drones!!! My son would love the Lego ghostbusters firehouse headquarters. He loves legos and loves ghostbusters and having the fire house would make him so happy to be able to expand is lego kingdom. The child in my life is getting little older and I think she would love the Azul Board Game because it requires some thinking skills. Wanda, it’s a great game! Liked a lot by our “game group” ranging from 3 years old to 15 and the adults. 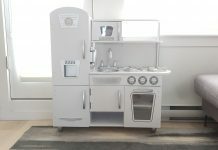 KidKraft Modern Espresso Kitchen so I can pass on my love of baking ( started with an Easy Bake Oven) to my niece. Dear Best Buy Canada I have been truly wishing to make this Christmas a memorable one. I’m a single mom of two daughters I have seen this toy written at the top of the list since the beginning of back to school and the magic was of it being dreamed. They love zipping from A to B and everywhere in between!! The #PowerWheels Wild Thing Ride On Toy in Orange/Black!! They tell me the joystick steering controls and large rugged tires mom allow this vehicle to go where others can’t!! We can ride forward,reverse or spin 360s a super cool look And colors! Thank you for the amazing opportunity to be able to do this for them. It would come as such a blessing and beyond handy but more than that, it gives me great joy to know Best Buy is having doing this incredible gift of giving . I’m so grateful for this company that shows its appreciation so generously!! Regardless of whether or not i am a winner the fact that I got to participate for my two daughters me means so much. Thank you! I would give the fureal dog Ricky (I saw in the store) or the Furreal friend’s cat to my great niece. It would also be a good gift for the residents at the care home my husband at. Good to interact with. I have a few cousins and friends kids who would enjoy the Aosom 6V Electric Ride on Toy with Digger Tractor. My nephews are awesome and love Lego so the LEGO Mindstorms. My nephew who loves cars would like ride in the Daymak Mini Cooper Kids Electric Ride on Toy Car. I would love to surprise my family member with the Celestron Nexstar 4SE 102 x 1323mm Maksutov Telescope! My granddaughter would love the KidKraft Grand View Mansion Dollhouse. She’s at the perfect age for dolls and miniatures. Hours of imagination and play. A great toy for my grandson would be the Lionel Polar Express Train Set since he just loves trains. My grandson would love LEGO Mindstorms, he is so creative and loves a challenge! My nephew loves Paw Patrol, and I think the Lookout Tower would be a perfect gift for him this year. Our little lady loves LEGO and playsets so the LEGO Friends: Heartlake City Resort would be an ideal present. My son would love LEGO Harry Potter: Hogwarts Great Hall! He adores Lego and using his imagination to build a whole new world! I also loved Lego as a child and I love sharing this with my little boy! This Lego set would Christmas magical for us!